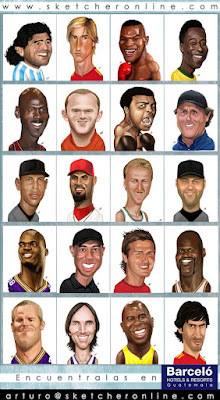 These are more of the caricatures I have done for Hotel Barcelo in Guatemala. Go check 'em out and let me know what you think. If you are interested in one of your own, just send me a message to the email that appears on the picture. Later.